We don't just sell river cruises. 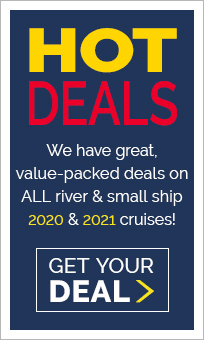 We sell lasting river cruise experiences! Premier River Cruises are the foremost travel agency in North America for arranging river cruise vacations and here's why! First, why would you choose Premier to book your river cruise? Well, start with this little scenario… Imagine strolling along the winding cobble-stoned streets of Arles, France, stopping to enjoy a delicious espresso as you and your companion think about what’s next on your list of fabulous sights. Day dream about a candlelit tour through one of the incredible wine caves of the midi region of France. Fantasize about your exclusive, private guided tour through St. Petersburg’s incomparable Hermitage. During your days’ leisurely excursion, contemplate the fact that you did not have to organize one single aspect of your memorable journey! Now, imagine returning to your luxurious river cruise ship, stepping out onto your private balcony to enjoy a glass of the local wine and thinking — “Life is great!” That's how you'll feel when a Premier River Cruises’ Expert works closely with you to arrange every single little detail, and ultimately ensuring your river cruise vacation is absolutely perfect, no matter what your destination or travel budget. In a nutshell, that why you should choose Premier River Cruises as the travel agency to arrange your river cruise. We are river cruise experts whose primary focuse is on river and small ship cruise vacations. Of course, there are many more reasons... The Premier River Cruises Team has been in the cruise business since 1984, and as we like to say, we are “Powered by Experience.” It’s that experience that allows us to connect the dots far better than almost any other travel agency, and Premier is the ONLY travel agency specifically selling only river cruise vacations, and no one does it better! 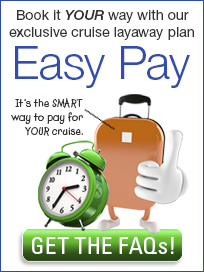 We take all the hassle out of cruise selection, planning and management. 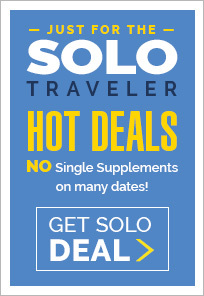 Your Premier River Cruise Expert is like your own personal travel planner and makes vacation planning easy by eliminating all of the footwork you would otherwise have to do… like surfing the internet for hours, sometimes for days, trying to find a cruise you like and then decipher the offer! Remember, this is your vacation. You shouldn't get stressed planning it! Your River Cruise Expert will always be able to save your valuable time and energy, because they have the experience and knowledge of all the offers available. That knowledge enables them to find exactly what you desire within seconds, making the entire experience incredibly stress-free! We’ll do everything for you from the moment you contact us. Your Premier River Cruises’ Expert is a ‘real live, dedicated travel professional' who understands how important your vacation is and how hard you may have worked to take it. No one on our team has an “agenda” other than to ensure we match you with the right cruise line, ship and destination, at the very best value that ensures you return home with a lifetime of wonderful memories, not nightmares. Exemplary, unequivocal personal customer service. We can’t emphasize that enough! With Premier, you’ll always receive unparalleled customer service at each touch point. I guarantee it! Our team is “customer-centric” and that is not merely a gratuitous, lip service word that we use. In today’s world we all have to deal, every day, with awful, uncaring customer service from companies — large and small — who have no clue or don’t care. That is just not right. Period. We’re asking you to spend a goodly amount of money with us and it’s our job to take good care of you, and we absolutely will. You won’t have to wait two days for a call back or an email in response to a question, or for us to do the job correctly and in a timely fashion. We practice good, old-fashioned “Service 101,” and you’ll immediately reap the benefits of that philosophy! If you’re not satisfied for ANY reason please email us at Premier right away! 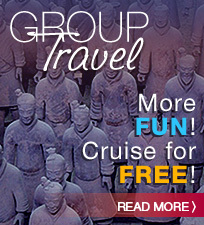 We have the best, up-to-the-moment cruise information and the best pricing. Because Premier River Cruises ONLY sells river cruise vacations, there’s very little we don’t know about river cruising and the destination you’ll visit. Additionally, because our sole focus is river cruise vacations, we have a very good relationship with the major river cruise companies. This unique relationship allows us access to the best prices and in some cases cabins, even when none are otherwise available. We make the preparation for your river cruise vacation an effortless exercise. How? You'll receive a personalized copy of Premier's exclusive COMPASSPOINT™ Guide for your chosen destination. This series of one-of-a-kind guides has been expertly compiled from our years of traveling the world and there's nothng like them anywhere! There's one for each region of the world. These guides will enhance the enjoyment of your river cruise by navigating you through every stage of the trip: transportation, documentation, planning and packing, and of course, how to get the most out of every day while traveling. Returning guests often tell us that other passengers ask for copies of the guides because they not only answer almost any question about clothing, weather, and onboard life, they also discuss local customs, those can't miss places to visit. We'll also provide hints on where to shop and what to buy along with a great reading list to use before you sail. Oh yes, how about some great local eateries or a local spot to enjoy lunch or a quiet pastry and cup of coffee — it's all in our Compass Point Guide series and they're FREE when you book with Premier River Cruises. Premier’s Best Price Guarantee. That’s right… Accompanying our best information and best pricing capabilities, we have a best price guarantee. Bottom line, Premier guarantees that the cabin price we sell you will be the lowest published price out there. For complete details visit the Best Price Guarantee page for a complete description of our guarantee. Yes, we’re also an award-winning travel agency. As I mentioned above, we’ve been doing this since 1984, and while we don’t like to pound our chest, over the years we’ve won just about every award offered by most of the cruise lines, except Carnival. We now keep them in boxes in the storage room, but you’re more than welcome to ask us about them. One of the biggest Premier Differences is our exclusive river cruise program, Milestone Events. Our Milestone Events celebration program is the first of its kind in the travel industry. Premier River Cruises rewards you when you have an event — you know, like a 50th, 60th or even 80th birthday, or 25th or 50th anniversary — anything that is truly a Milestone Event! When you book and sail on a river cruise during the year of your Milestone Event, Premier will provide you with additional savings, special onboard recognition and much, much more. Can you think of a more exciting and memorable way to celebrate with family and friends, or even just a romantic river cruise for the two of you? Check out our Milestone Events page for complete details. Quick Sail! This premier exclusive program is custom-tailored for those with plenty of time to travel and are able to travel at the very last minute? We’ve designed Quick Sail! to be unique, and to ensure we don’t email you with every offer or deal that comes down the pike. Rather we focus on exactly what you're looking for and then CALL you with all the details and a special price. It's just another way we try to be more relevant in how we work together with our customers to get them the best river cruises for their needs, desires and budget. Think that about covers it — we hope you are convinced that you’re in “good hands” with one of our Premier river cruise specialists. And remember, our goals are to provide you with an exceptional river cruise value, AND to ensure we match your needs, wants, and desires with the best possible choice of a river cruise vacation for you. Thanks for taking the time to read this message. 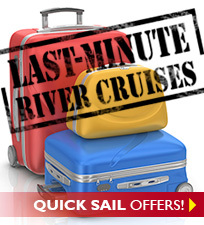 We look forward to helping you book a hassle-free and memorable river cruise vacation.